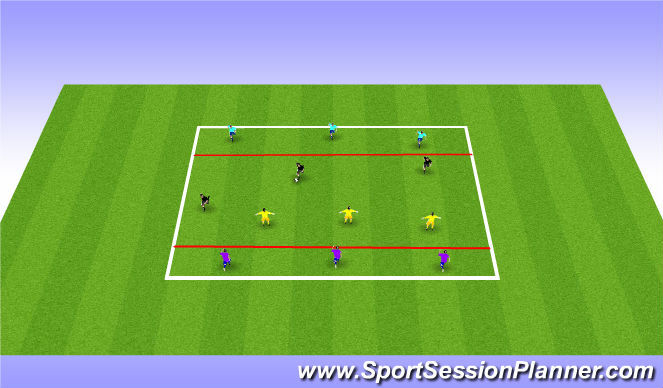 - One of the teams in the middle starts with the ball and attacks the other team in the middle. - The team with the ball attempts to pass teh ball to the team in the end zone that they are attacking. - If they are able to pass the ball in to the team in the box they are attacking the team receiving the ball steps out and attacks the team that passed the ball in. - The team who conceded steps back in to the empty box. - If the defending team wins the ball they then attack the opposite end and attempt to get the pass in to the endzone.